VietNamNet Bridge – Vietnam needs about 16 billion dollar a year to develop infrastructure, while the state budget can only provide a half of the amount. The public-private partnership (PPP) model will bring capital to the projects. Deputy Minister of Planning and Investment Dang Huy Dong once said that Vietnam must seek 50-60 percent of the total capital needed to develop infrastructure in Vietnam in the next 10 years from the private sector, from both domestic and foreign sources. In principle, Vietnam can seek capital from traditional sources by issuing government bonds, borrowing commercial capital from foreign sources or from ODA (official development assistance). However, these will make the public debts increase. Moreover, Vietnam now belongs to the group of countries with medium income, and therefore preferential loans have been cut gradually. In such a context, encouraging private investors to join infrastructure development seems to be wise solution. Vietnam’s neighboring countries, including China, Thailand and the Philippines all have been successful with this model. The regulations on the trial implementation of PPP model in infrastructure development has taken valid since January 15, 2011, under which, the State’s capital to be poured into the projects will not be higher than 30 percent of the total investment capital of the projects. Sources said that a ministerial taskforce has been established to oversee the selection of the projects to be developed under the PPP mode, expected to kick off in a couple of weeks. Alderman Michael Bear, Lord Mayor of the City of London, an expert in PPP projects in the UK, pointed out that the biggest advantage of PPP investment is that private investors will bear the risks to run of the projects, because they have skills to run the projects smoothly before handing over the projects to the government. Mr Bear said that the most important thing is finding and recognizing bankable projects. Managing Director of the Asian Development Bank ADB Rajat Nag said that ADB advocates the PPP mode in infrastructure development. However, he said, it is necessary to think carefully to select the projects important to society. Though agreeing that PPP is the optimal solution for the infrastructure development in Vietnam, Pham Chi Lan, a well known economist, noted that if Vietnam cannot follow a strict process in capital calling and bidding, it may churn out bad products. Lan said that the supreme principle of enterprises is optimizing profit, therefore, the State needs to apply a proper mechanism on supervising the PPP projects and on allocating responsibilities to private enterprises. If no such a mechanism is applied, it may happen that bridges and roads will be arisen, but the projects will cause pollution to nearby residential quarters. 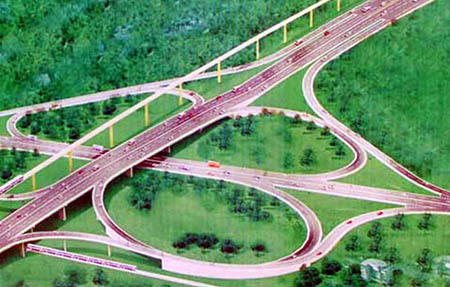 In the last few years that the private sector has joined infrastructure development projects many problems have arisen. Thanks to good relations with local authorities , the private sector can get land plots with high commercial values, but the infrastructure projects do not have high social significance. In the past, when Vietnam began apply the BOT (build-operation-transfer) mode in infrastructure development, foreign investors all showed their enthusiasm in making investments. However, later on, due to many problems, they withdrew. “Transparency must be the supreme principle,” Lan said. However, PPP seems not to be the game for all private enterprises. Small and medium enterprises will not be attracted to the PPP model because the profitability rate will not be high, and it will take a long time to earn back investment capital. Dang Thanh Tam, Chair and Chief Executive Officer of Kinh Bac Urban Development Corporation, said that PPP projects are stable and attractive to the investors with large capital. “After 30 years, they still can “pick up” money from the projects,” he said.